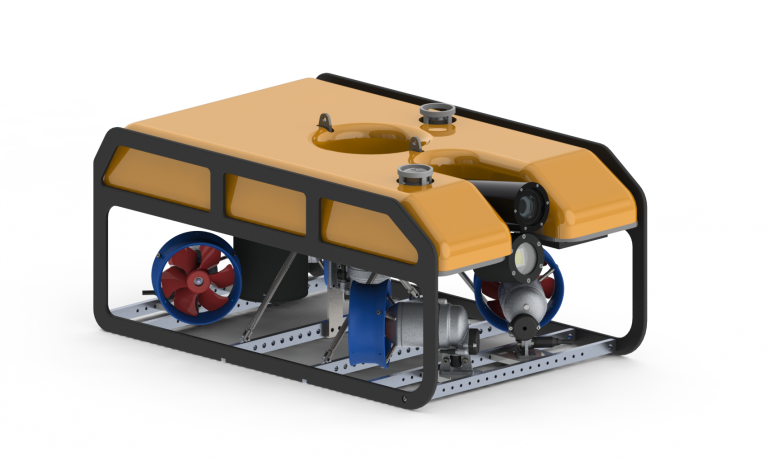 The G1R is based on RS485 multi drop points, each part of the ROV has its own dedicated processor and address with HCU manipulating the data flow. This method minimizes firmware problems and maximizes the speed. The ROV can be equipped with many sensors like CTD, CP, bathy & altimeter, profilers, FMD. It can be equipped with tooling such as 4 functions manipulators and cleaning brush using a tooling skid. ±90 degrees closed loop tilt platform accepts accepts two cameras and a light with accurate angle position of ±1 degree accuracy. Powered by 5 x SPE-250 reliable thrusters, 4 lateral and 1 vertical each incorporating unique Statorshield™ Technology allowing the thruster to continue running even in case of shaft seal failure.